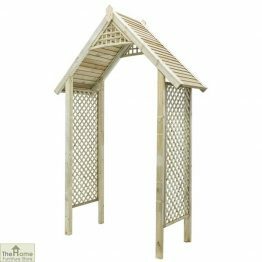 Garden Arbours, Arches and Pergolas make our gardens stand out. 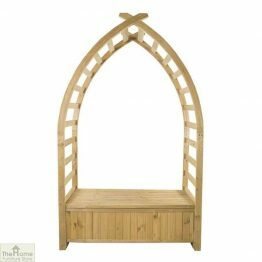 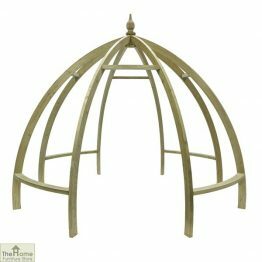 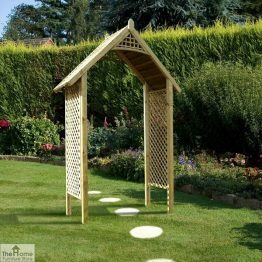 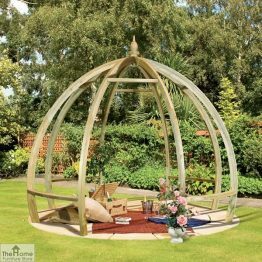 There is something magnetic about a Garden Arbour. 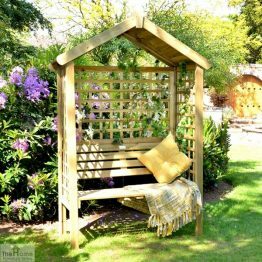 As soon as you see one in the garden you feel drawn to it. 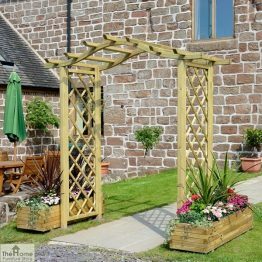 The heady smell of climbing roses trained over and around a pergola is irresistible. 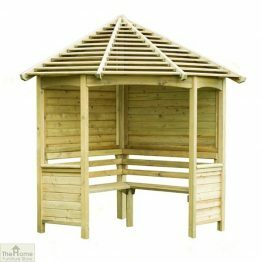 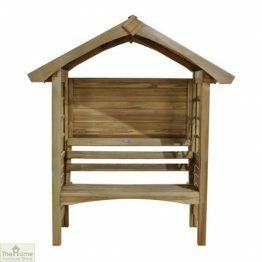 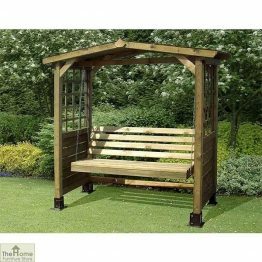 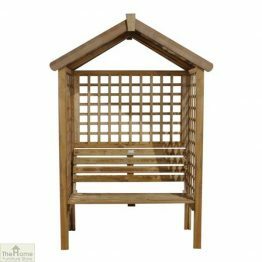 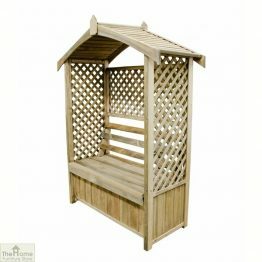 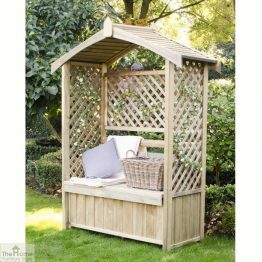 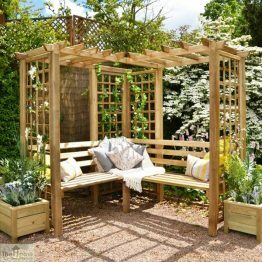 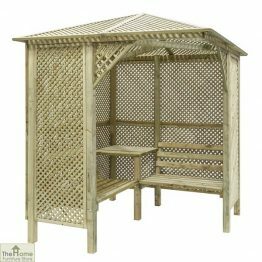 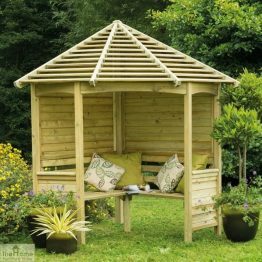 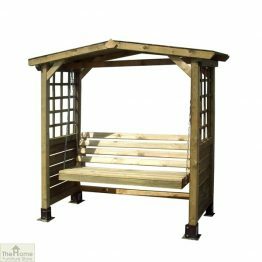 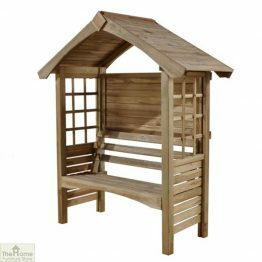 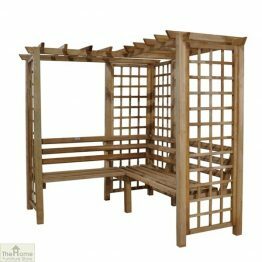 A wonderful wooden Gazebo in the garden provides a welcome haven. 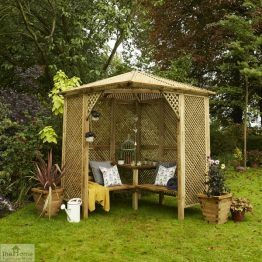 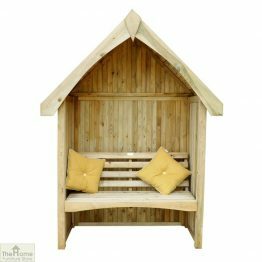 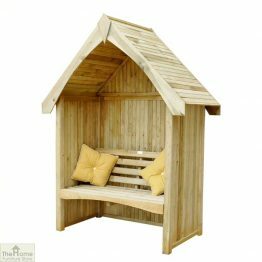 This shelter is a place to sit and relax, whatever the weather, and enjoy the garden. 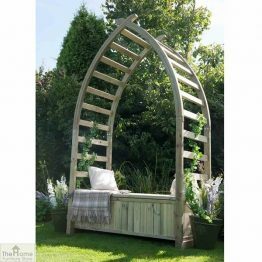 For the avid gardener planting flowering climbing plants is a skill. 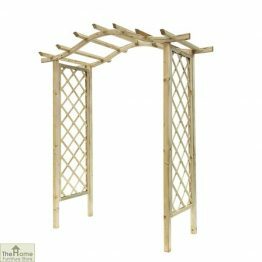 To have a wooden garden arch to train your roses to grow up provides a perfect finishing touch.